seo | Anyone For Seconds? …and over 20,000 visitors later and the enjoyment of writing my food blog has not diminished! Over the last three months I have discovered a lot of things about blogging and about myself, I have made more online friends, read many more blogs, commented on plenty as well, cooked recipes I never would have tried and enjoyed blogging about the experiences of cooking them all. I have also learnt many more family recipes, now passed down to my generation, so that I can continue passing them on with this blog. My posts have become easier to write and put together, with the photos from a small ordinary digital camera – no digital SLR or lighting rig as of yet! I have tried to make my blog more user-friendly too, adding Printable Recipe Links to every post, for readers to print off only what is needed each time. Over the next six months, I will be moving home, setting up all my planters and tubs in my new garden with fruit and vegetables to last me through the summer and autumn, and trying new things like making my own wines. I’m looking forward to having a go at more recipes from the blogs of my fellow foodies, as well trying to create some more new recipes of my own to share, and getting involved in more blogging events. I hope all the visitors of my blog enjoy reading it as much as I enjoy writing it. I have learnt that a blog is more than just a collection of individual posts – it is a collection of posts and comments and pictures and replies on other blogs too, that are a part of my personality shared in this big social media world. As ever, I have to say a big thanks to my girlfriend, family and friends (online and offline) for all their continued support and for helping me out. I’m already looking forward to the next six months and blogging about my new experiences on here for all to read! Having recently wanted to print out a recipe from my blog to use in the kitchen, I realised there wasnt an easy feature to do this, especially when some posts can be quite lengthy with several large pictures. I didnt need the rest of the post, wasting paper and printer ink for the whole article, so I have found a way for myself and other readers to enjoy readng the articles and yet easily print out only what is needed – the recipe itself. 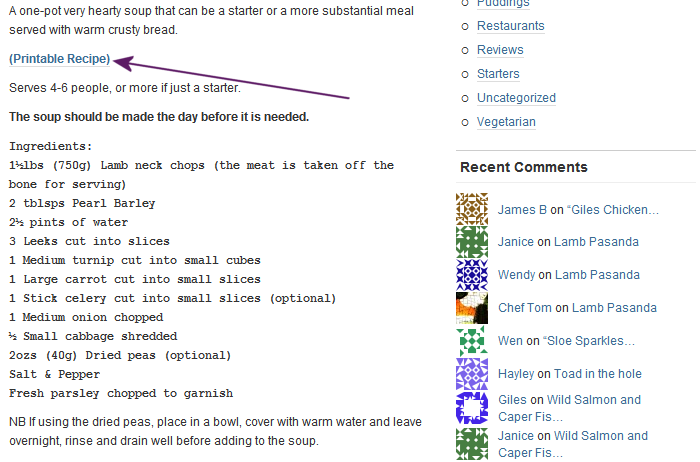 Looking at the image below, there is now a (Printable Recipe) link above each recipe for readers to use. I am slowly going back through all my old posts adding a link in, so some may not have been updated yet by the time this post is published. I will try and have them updated over the next few days. It’s a simple update that will allow visitors to enjoy reading the whole post, letting them print out the recipe to enjoy later. …and over a thousand visitors later and I now know the effort of trying something so new for the first time in years has been worth it! I didnt know how I was going to get on with this attempt at ‘food blog writing’ but with help from my family I can say I absolutely love it. I wouldnt say I have a natural flair for online story writing being a Software Engineer by day but I like to think I have put passion, fun and care in most of the posts! My sister being an online journalist has even commented she likes my writing style which is a bonus. It has been very scary writing recipes at times and a huge learning curve for me as well, especially trying out new things and new techniques – gaining confidence with each one. I keep thinking back to where it all started, when I was 16 working as a kitchen-hand in a local 3* Hotel learning the ropes, as well as learning from my mum’s wonderful home cooking over the years, to where I am now, sharing mine and my family’s favourite recipes with the rest of the world. The picture taking has been fun as well as stressful – trying to get the correct lighting to make it look good. I will have to study lots and lots of other pictures to make mine look better moving forward. Working in the digital media arena in different jobs over the years, I have been able to use what I know about search engines, optimisation and directories, to make the most of publisising my blog! 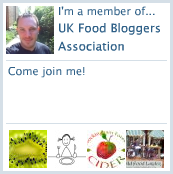 At the start, most of my visitors came from family and friends and from joining excellent associations like the UK Food Bloggers Association (UKFBA) but now most come from Google searches, which means others out there must enjoy the same things I like to write about! Blog writing has had a lot of other bonuses too, especially with social networking, making new friends, being invitied to meet other bloggers and digital darlings as well as local food producers and getting to visit lots of other local excellent food haunts and restaurants, which my girlfriend really loves. It seems like I have spent many hours sat infront of my laptop writing these posts but I can say it has been totally worth it and I would recommend it to anyone. 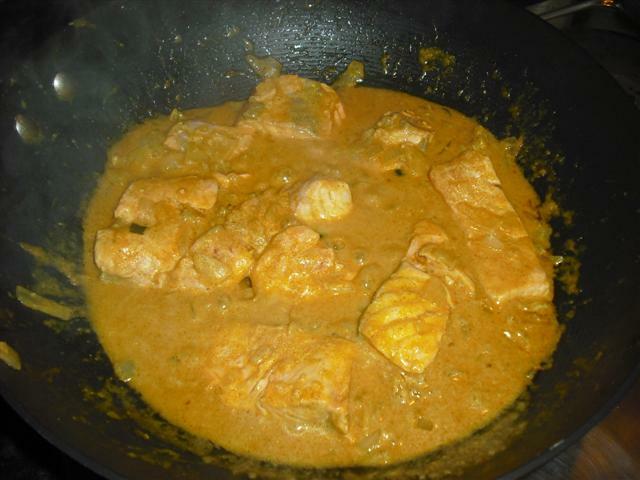 I have rekindled my passion for cooking and now have a medium to share it with others. Finally, I want to say thanks to my girlfriend and family for all their help and also to everyone that has visited “Anyone for Seconds?” and left comments and especially to all the other excellent food bloggers that have helped me along the way! I have so many more recipes, reviews and posts that I want to do (that I already have in Draft mode or that I have scribbled down all over the place), that I hope everyone enjoys reading them as much as I enjoy creating them, now and in the future!